Once again, Hallmark Travel Planners has released the early booking special offers. The Kenya- Tanzania safari package, made up of 11 nights, has fixed departure dates between July and August 2019. The safari itinerary has a main focus on Wildbeest Migration route going to Masai Mara, Serengeti, Ngorongoro, Tarangire and Lake Manyara. A bush dinner is included at Tarangire. NAIROBI, Kenya - Oct. 12, 2018 - PRLog -- As has been the case for the past few years, Hallmark Travel Planners is giving Africa Safari enthusiasts a chance to witness the wildebeest migration spectacle at affordable prices. 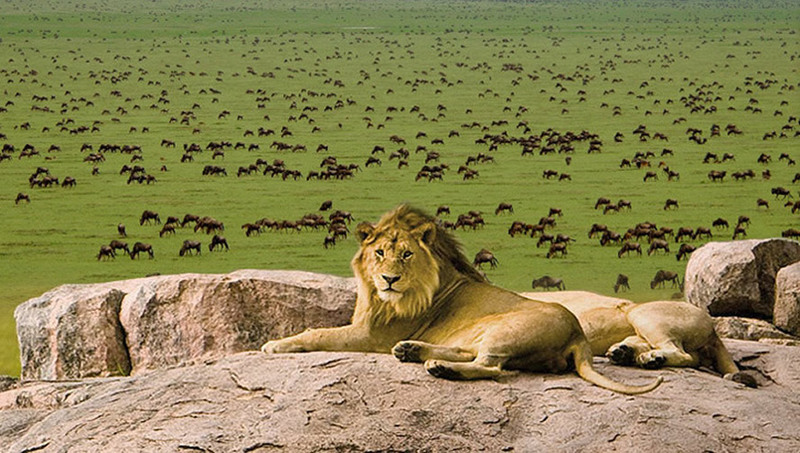 The 12 Days Kenya – Tanzania Migration Safari tracks the migration route, focusing on Masai Mara and Serengeti, the 2 safari parks where the main action is. The package has 3 nights in both parks with the rest of the time spent at the Ngorongoro Crater, Tarangire and Lake Manyara National parks. For only US$3990 per person, you get 11 nights of Safari in Africa - 1 night upon arrival in Nairobi, plus 10 nights on safari covering Kenya and Tanzania. All persons booking this Wildebeest Migration Safari Package for 2019 before the end of February 2019 will enjoy discounts of up to 10%. The safari package is based on group travel with a maximum of 6 persons per jeep. Patrick Andres from the USA, one of the tourists who took a similar safari in August 2018, said this after the trip: "The trip was amazing! This was our first Safari and it lived up to all our expectations and more!" Mr Andres, who traveled to Africa with his partner adds: "From seeing the Big 5 to the Wildebeest migration and so much more. A cheetah even visited us in the Serengeti and jumped up on the hood of our drivers Landcruiser. Getting to add on the Gorilla trekking was a big plus and worth the extra travel. 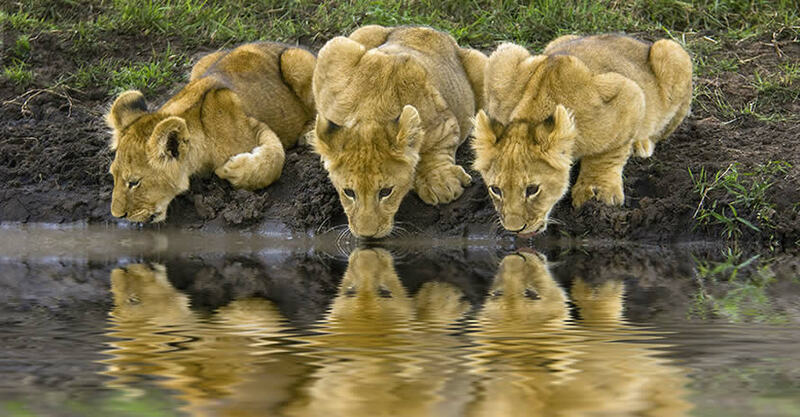 You can also read more of what other travelers on safari have said about our safaris here." Besides the ready-made, fixed departure migration safaris, Hallmark Travel Planners also offers private safaris without fixed departure dates. While on the migration safaris, whether private or group tour, you will enjoy full-day trips down into the reserve to observe this migration spectacle while carrying a packed lunch from your safari lodge or camp so that you can enjoy a full-on wildlife experience. Most safari lodges in the Serengeti and Masai Mara are over-booked during this period of the migration and securing any accommodation space if you are trying to make a booking at the last minute, can be extremely difficult. 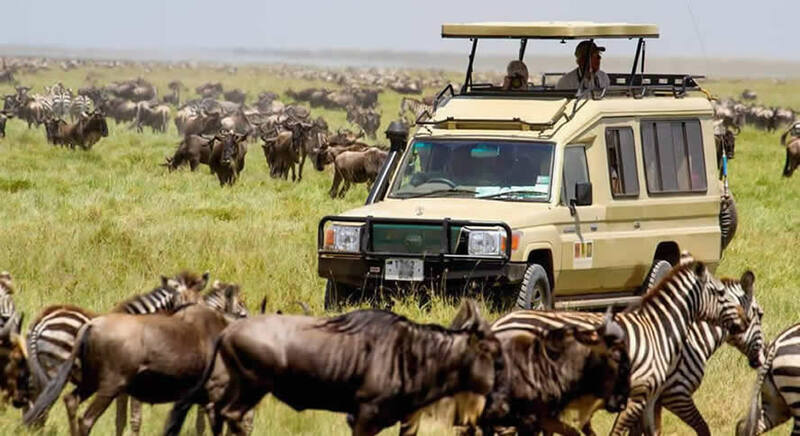 Guests can book this wildebeest migration safari 2019 by online following this link, or by calling +254 795 891 706, Nairobi, Kenya.